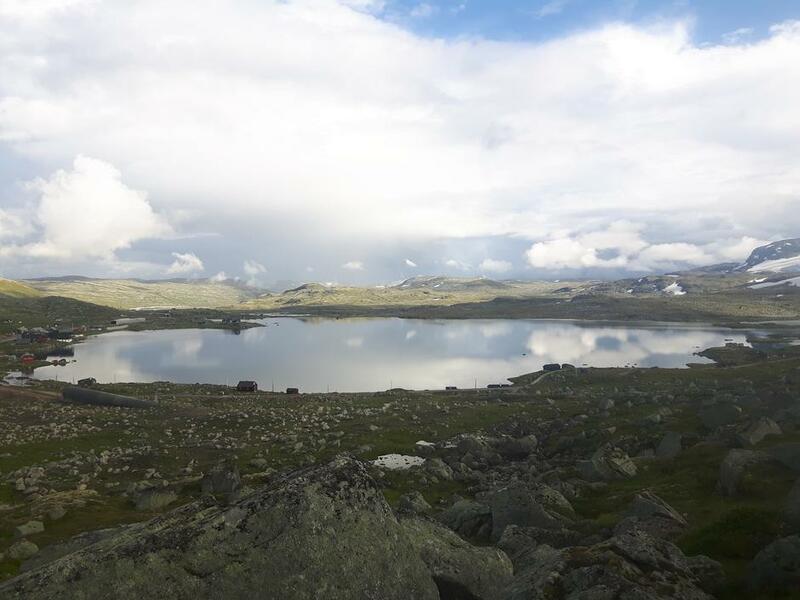 Finse is a excellent starting point for hikes further southwards Hardangervidda, or into Skarvheimen. 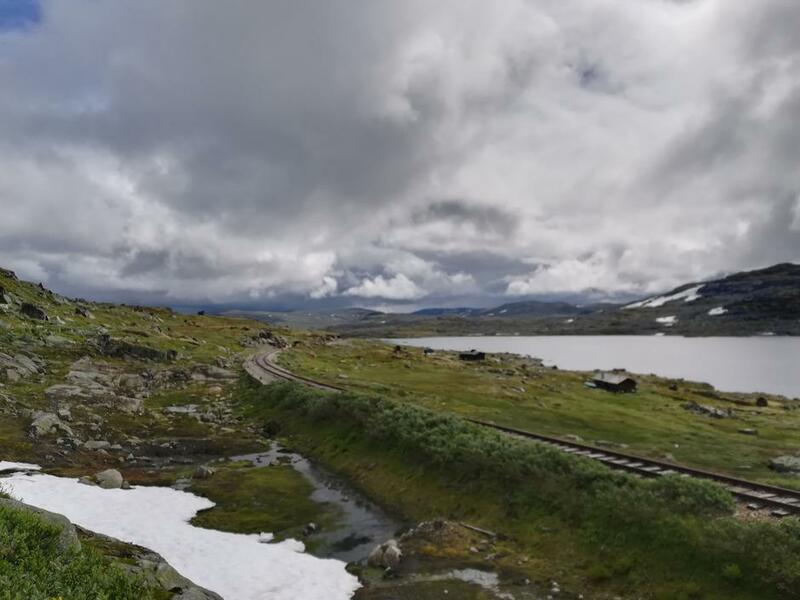 If biking is more tempting than hiking, the historical Rallarvegen passes straight through Finse sentrum. Are you interested in the history of the place, and the hard struggles building the railroad, a visit to the local museum is recommended. 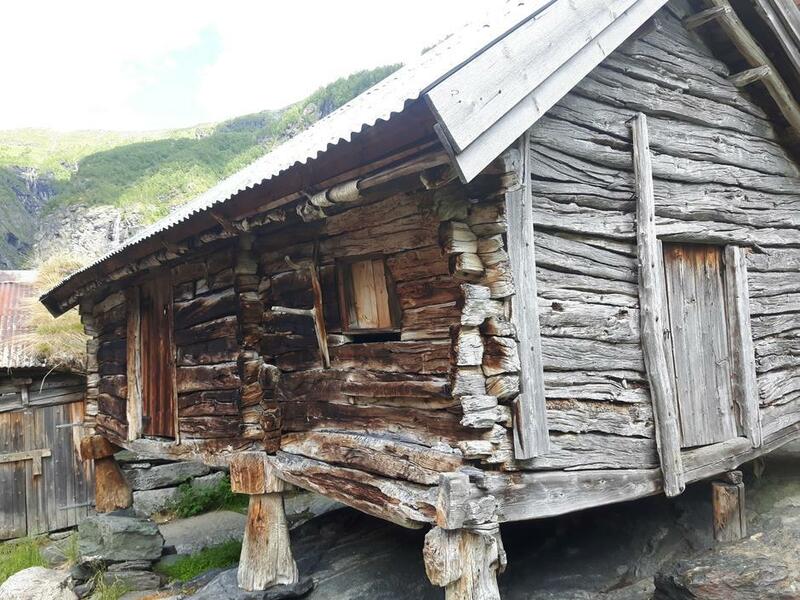 Finsehytta can be a stop along the way from another cabin, or on the road to Flåm, but if you are staying for some days, we have some suggestions about hikes in the area. 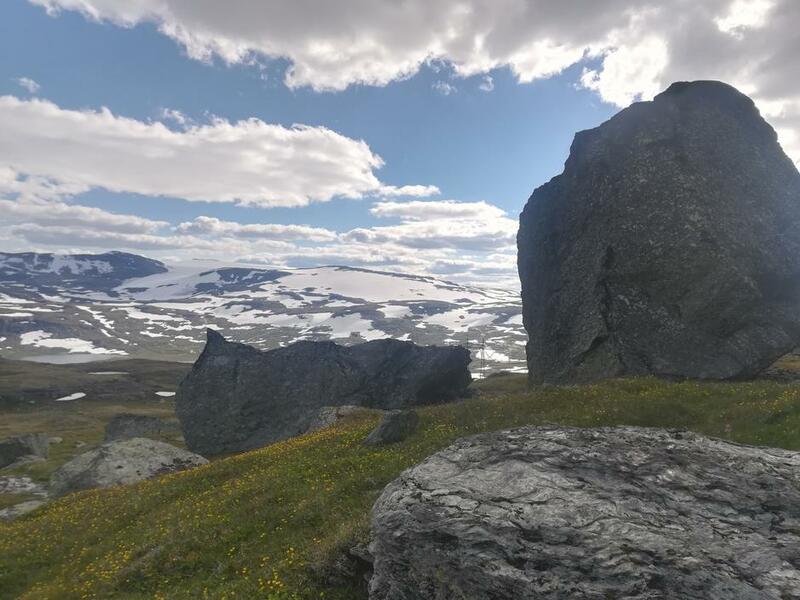 Finse is a beautiful place in summer, and worth spending a few days exploring. 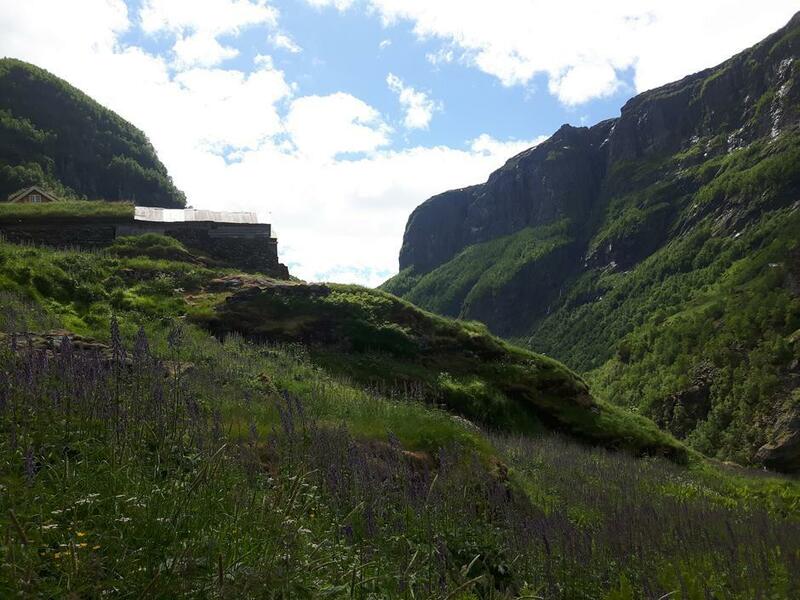 In summer season you can experience the amazing views anlong the road build longside the railroad in the beginning of the 1900s. You can rent bikes at Finse 1222 or Haugastøl Sykkelutleie. Read more about the route here. It is possible to do the tour in 2 days. 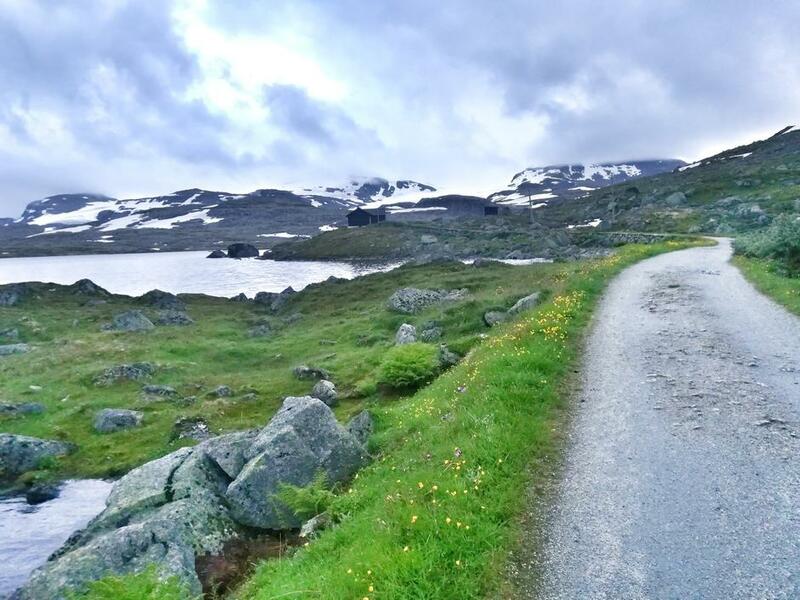 Many people bike from Finse to Flåm (53 km) in one day. 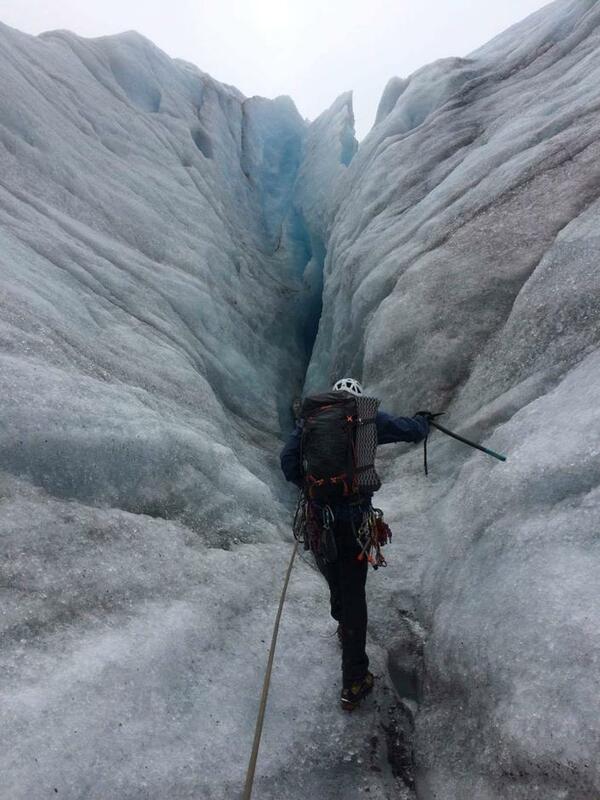 In July and August the company Jøklagutane is giving guided tours to Blåisen, a part of Hardangerjøkulen glacier. You will have an unforgetable experience. For more information click below. 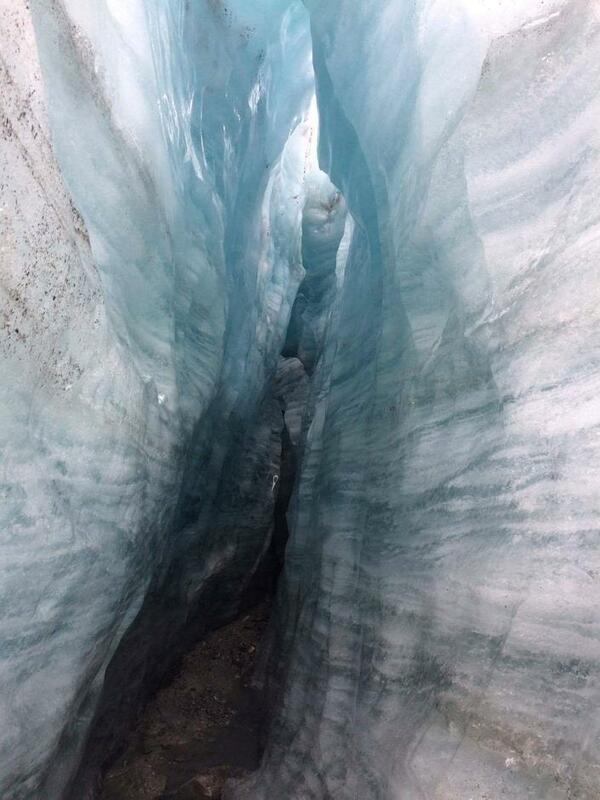 If you are not interested in a glacier walk, you can also hike to the start of the glacier and enjoy the nice view (ca. 3-4 hours). Cross the dam in the end of the lake, and follow T-marked trail to Blåisen. It is a nice hike also for children. Early/late in summer season check first if the summer brigde has been placed/removed. 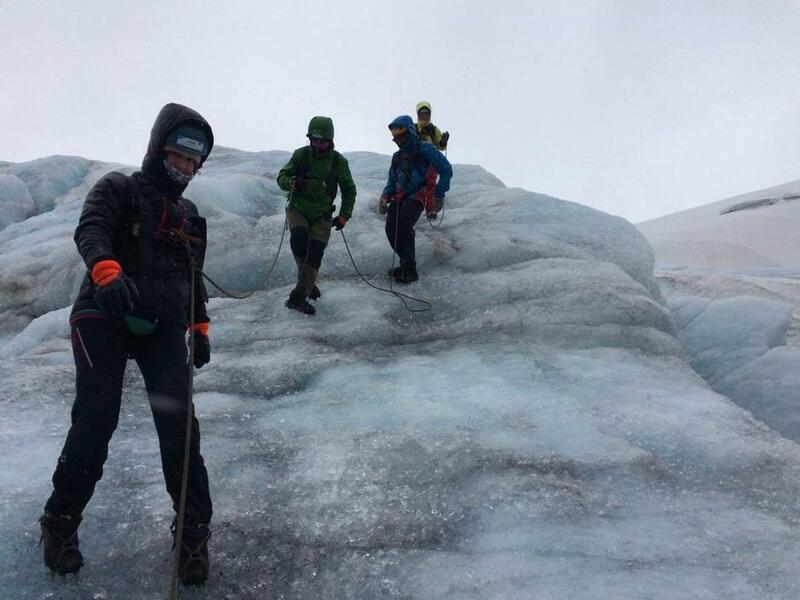 Never go up on the glacier without knowledge and gear. 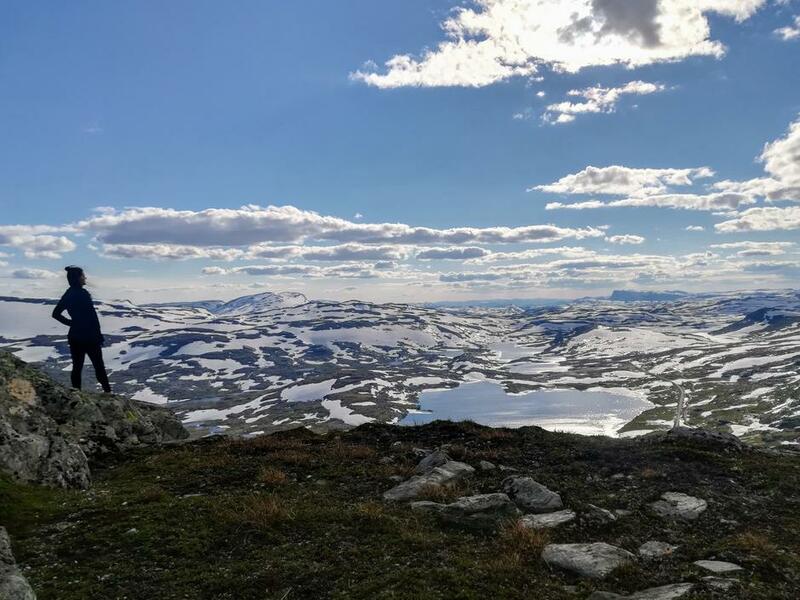 A 3-days hike in one of Norways most beautiful areas. 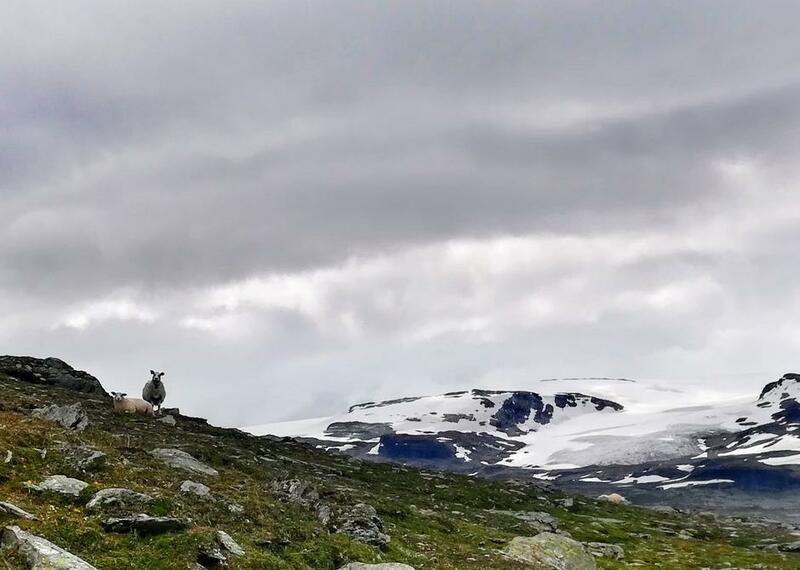 The tour takes you from the vast, rough mountain landscape, down through the most idyllically green, blooming valley Aurlandsdalen to the fjords. 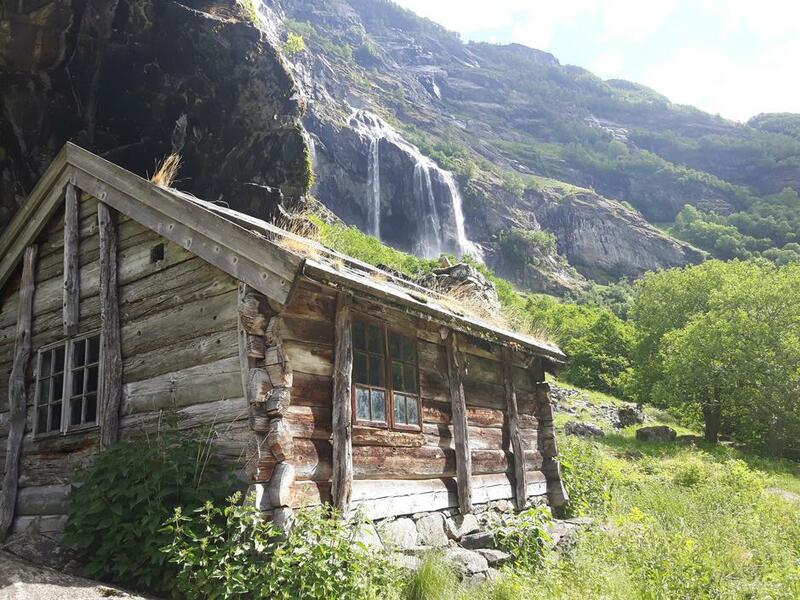 The valley used to be the most important connection between east and west of Norway, and has houses where farming has been traced back to the 1600s and possibly earlier. 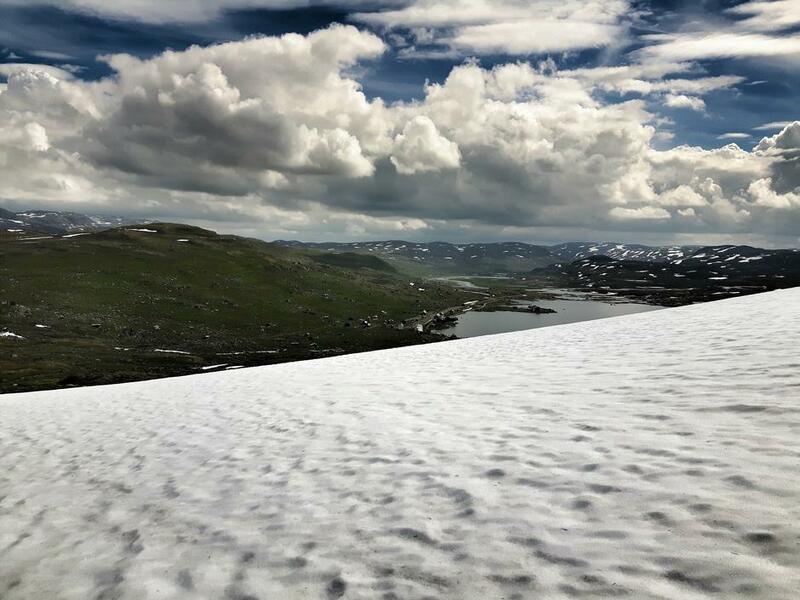 Litle Finsenut has amazing view towards Finse and the surrounding areas, the glacier and lake. 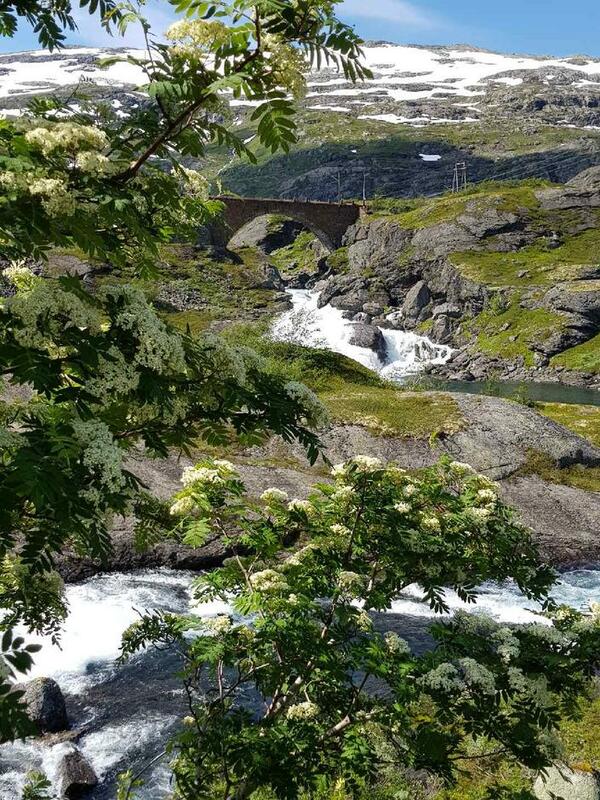 Follow the road to the bridge and tunnel (direction Bergen) and start the hike up in the valley between litle and big Finsenut. 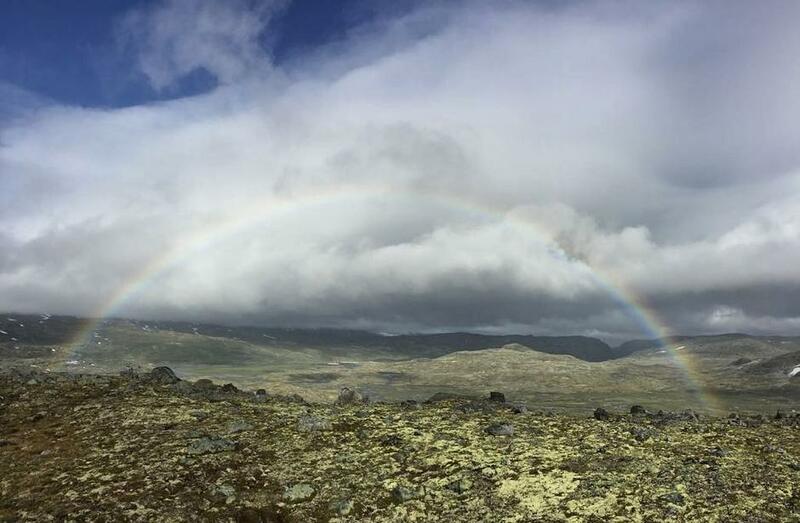 The hike to litle Finsenut will take 1-2 hours up. If you want a longer hike you can go down from litle Finsenut, and continue further in the valley and up big Finsenut. From big Finsenut you will hava a nice view to Sandå and Fagernut. The trail is not marked, but it is easy to find the way. 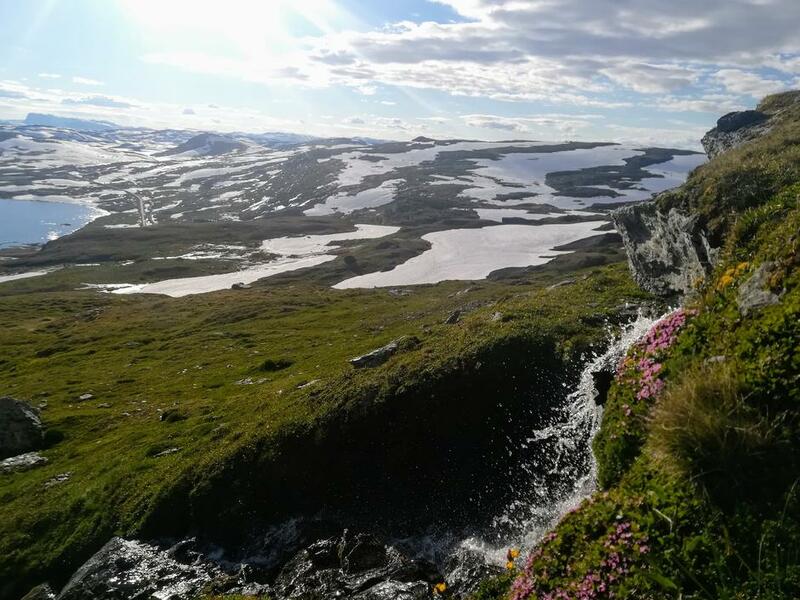 In mid of summer the hills are covered with flowers, it is a beautiful hiking experience. It will take some hours to do both the tops, bring a nice lunch and coffee, and enjoy the day. 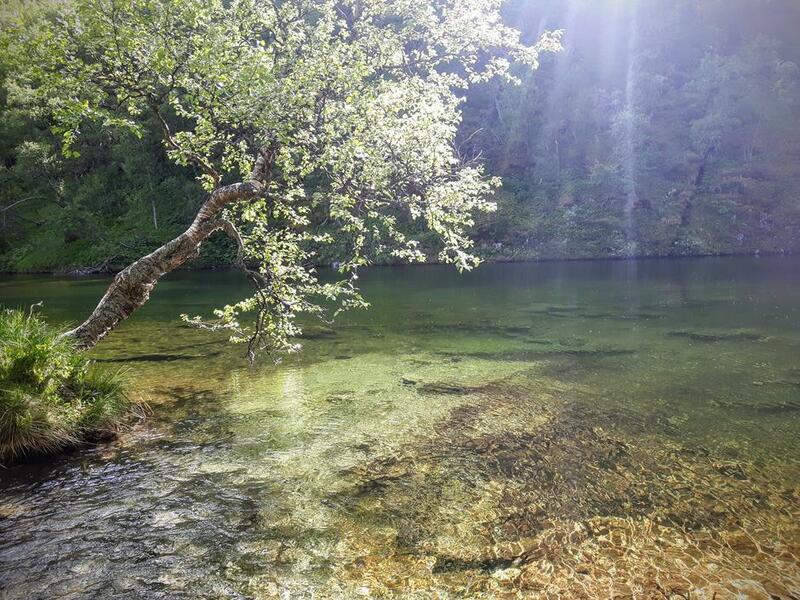 Recommended hike on days with good weather. For adults and children in good shape. 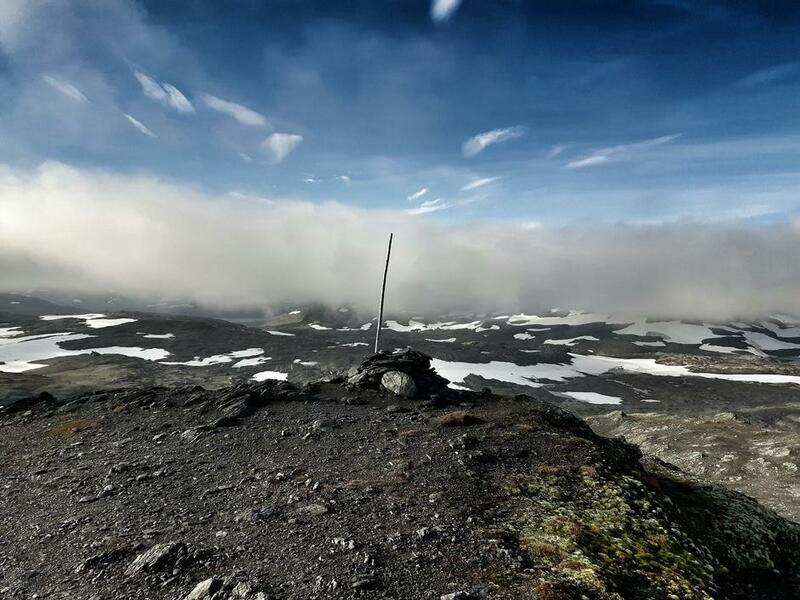 Follow the T-marked trail towards Geiterygghytta untill you come to Klemsbu (1600 m above sea level). Klemsbu is a perfect spot for a litle break. The cabin is closed, but its nice to sit next to the wall in the sun.Then if weather is nice continue to Sankt Pål (1695 m.a.s.l). The view is amazing. 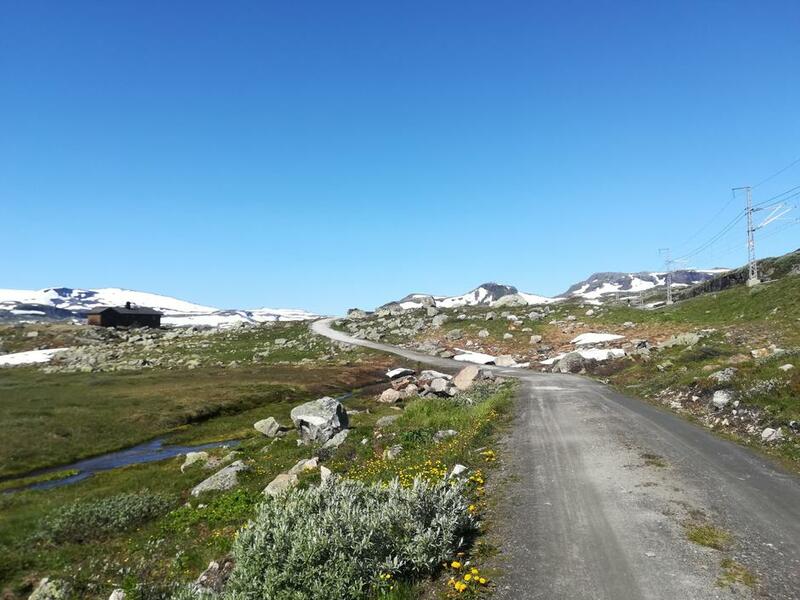 12 km (Finse-Klemsbu-Finse). The summer bridge is placed/removed in beginning of season/end of season. If you are interested in the history of the place, the people that buildt the railroad and the comunity, have a look at the local museum. Open in summer season. More information here.